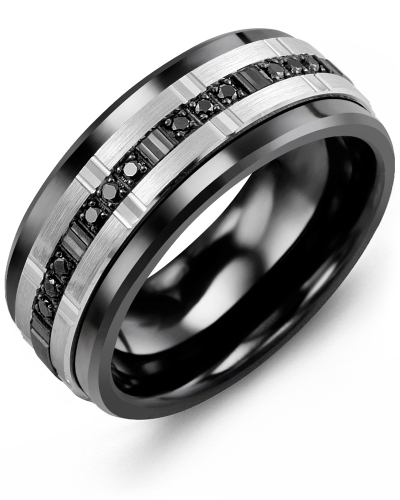 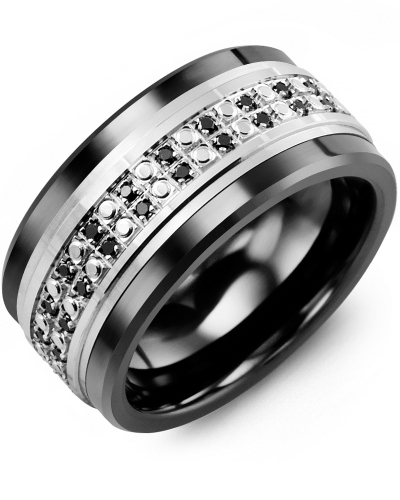 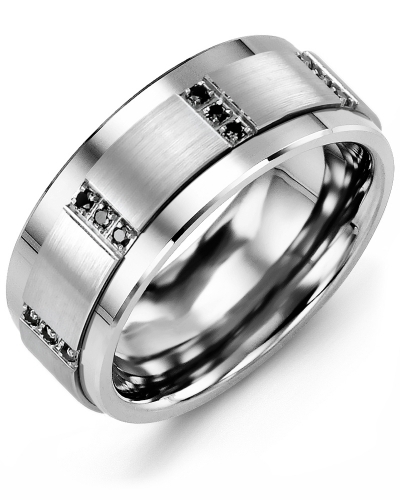 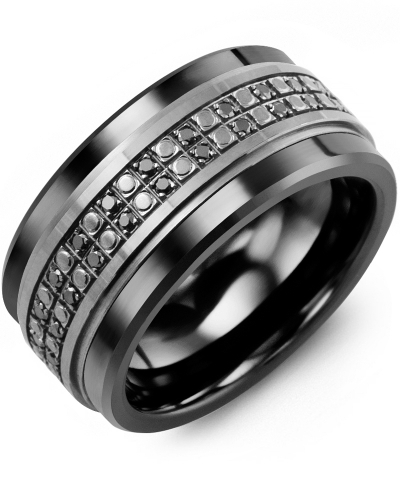 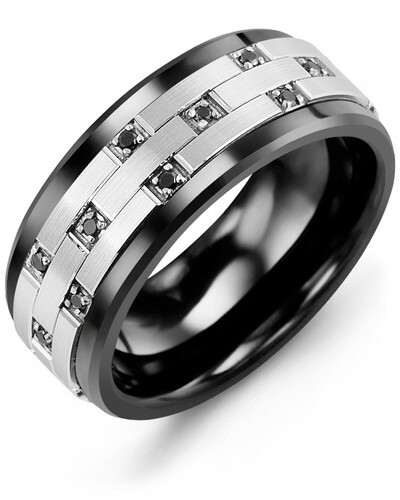 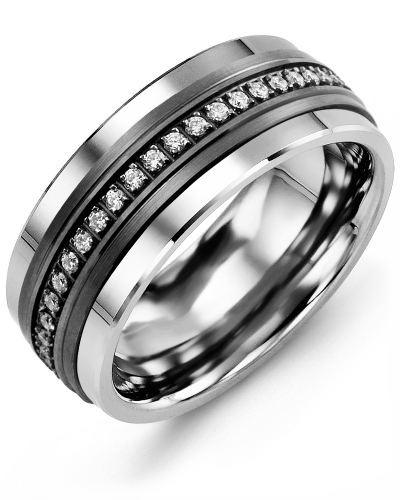 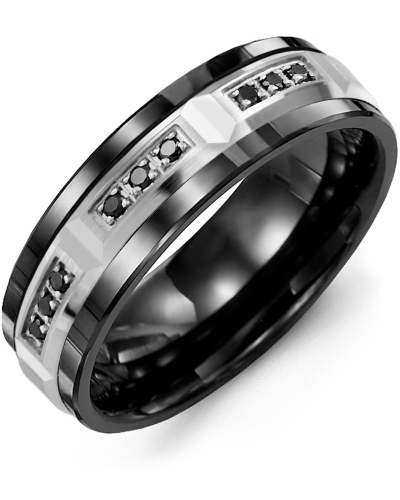 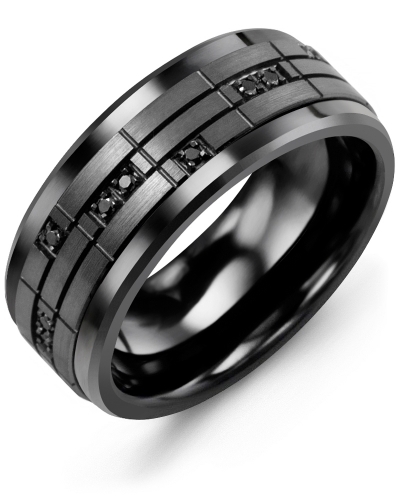 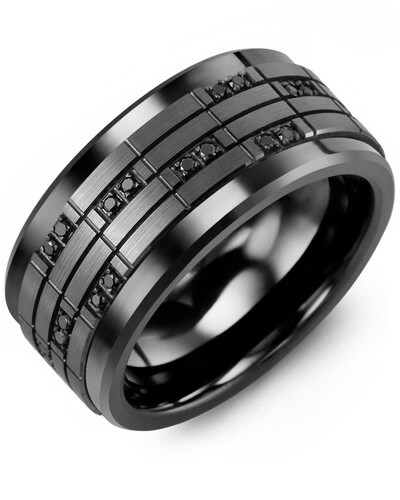 MBR - Men's Outer Trio Black Diamonds Wedding Band Personalize this Outer Trio Black Diamond Wedding Band for Men with our exclusive choice of options to create a bespoke piece of jewelry for your wedding day. 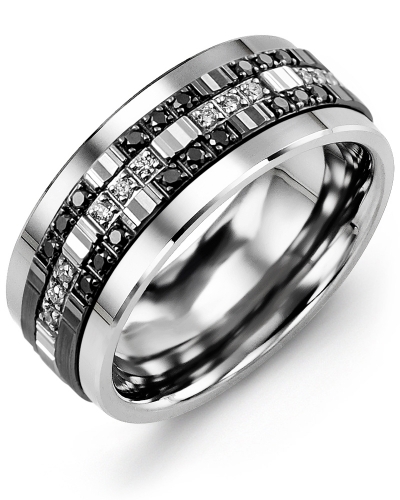 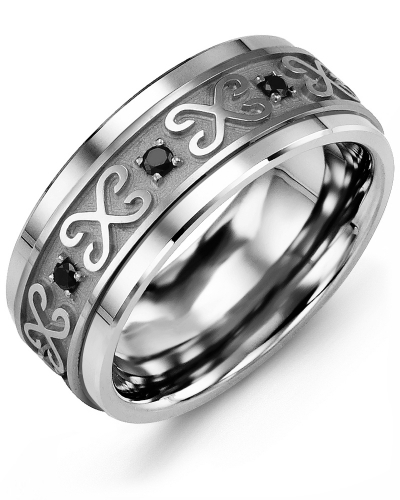 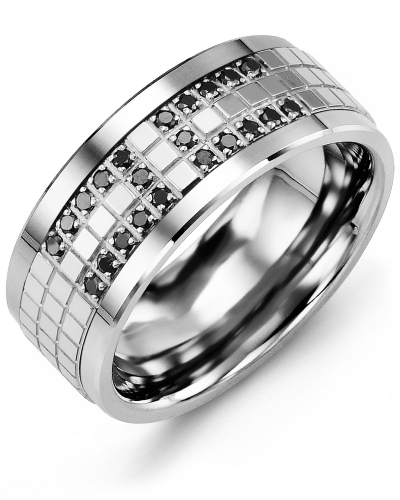 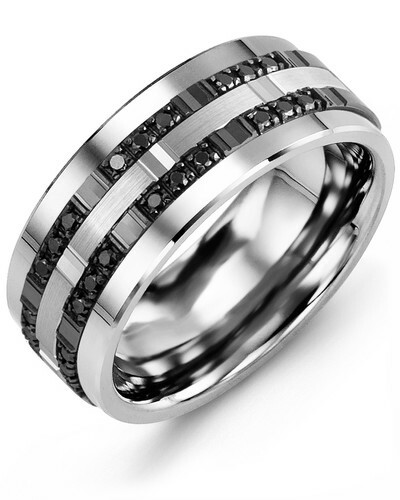 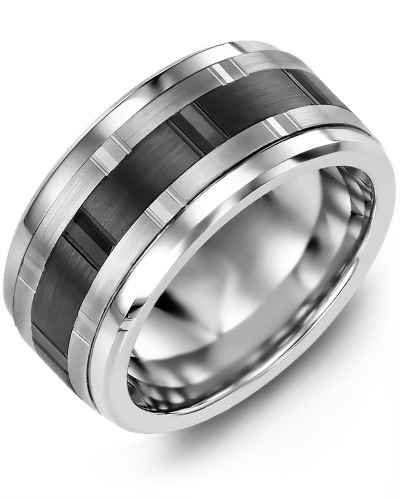 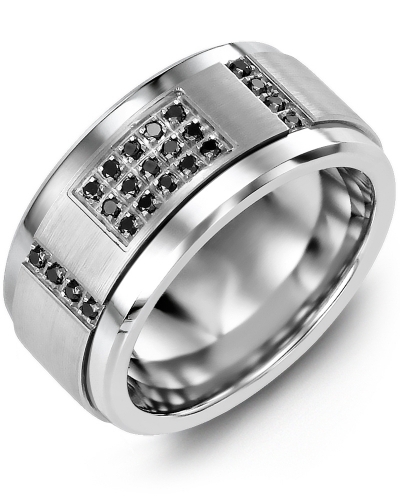 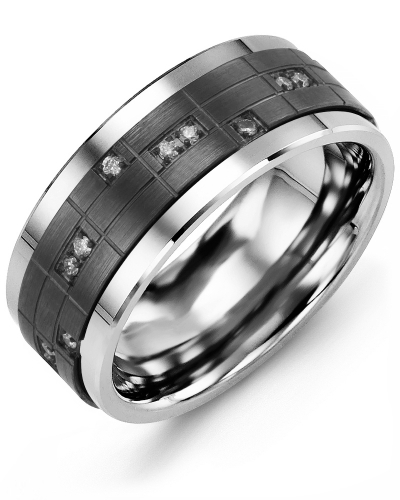 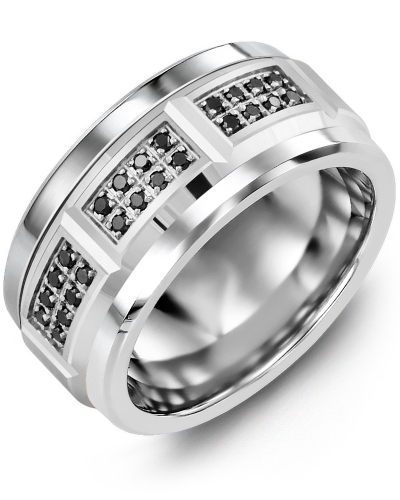 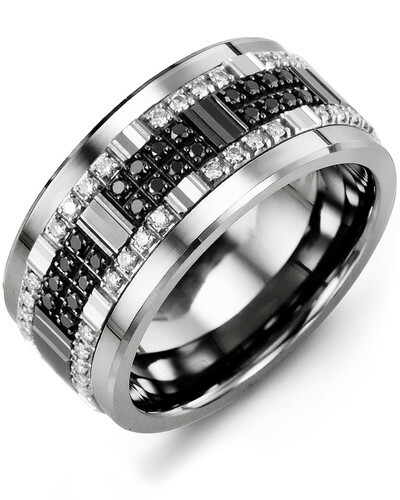 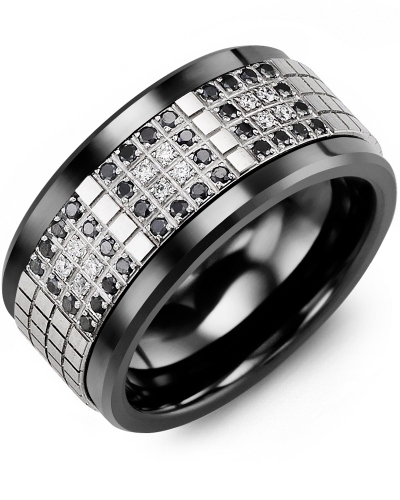 A sophisticated ring for fashionable grooms, it features a classic band embellished with a trio of grooved inlays, two of which are adorned with shimmering black diamonds. 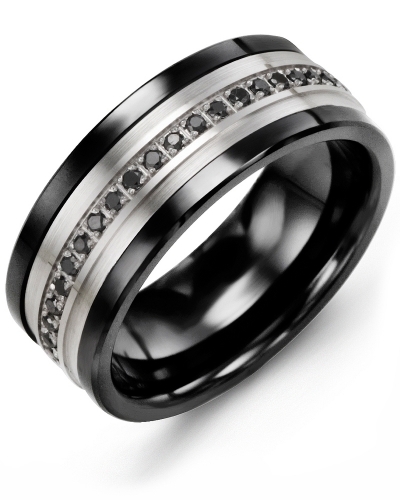 In addition to gold, it is available as a cobalt ring, tungsten ring, or black ceramic ring, and it can be customized with 9, 24 or 54 diamonds. 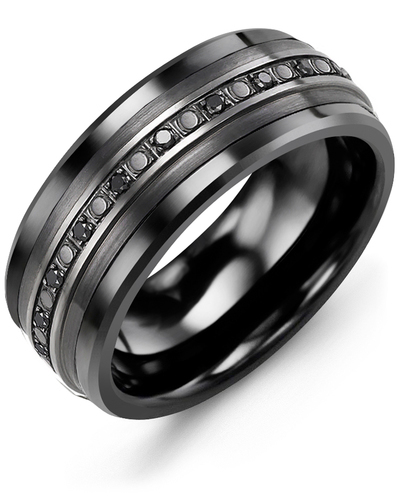 Personalize this Outer Trio Black Diamond Wedding Band for Men with our exclusive choice of options to create a bespoke piece of jewelry for your wedding day. 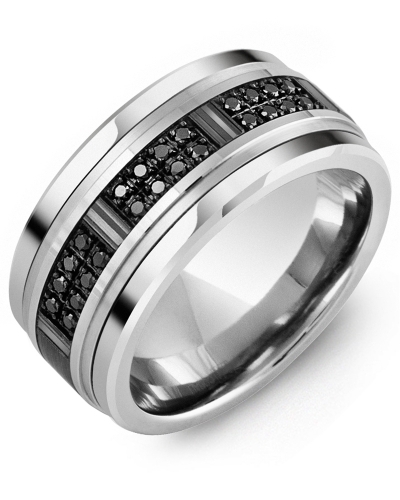 A sophisticated ring for fashionable grooms, it features a classic band embellished with a trio of grooved inlays, two of which are adorned with shimmering black diamonds. 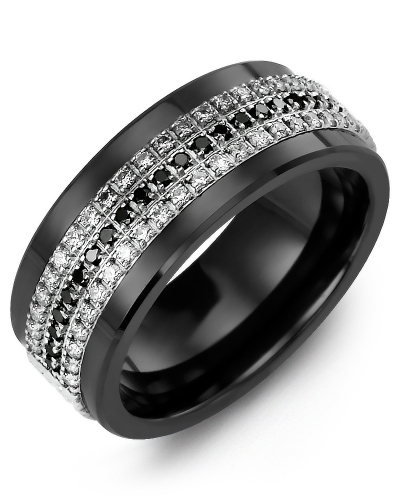 In addition to gold, it is available as a cobalt ring, tungsten ring, or black ceramic ring, and it can be customized with 9, 24 or 54 diamonds.